It may be hard to believe but on average around 200 new online casinos appear for UK players to sign up to every month. Many of these disappear in a matter of a couple of months, but there are still thousands of UK casino sites for gamblers to choose from. This makes it easier than ever to flip open your laptop or fire up your smartphone and start playing casino games online. How do you tell that you have found a good site to play on, however? Your money and financial details need to be kept safe and you need to be able to enjoy a great game every time – even if you don’t win. 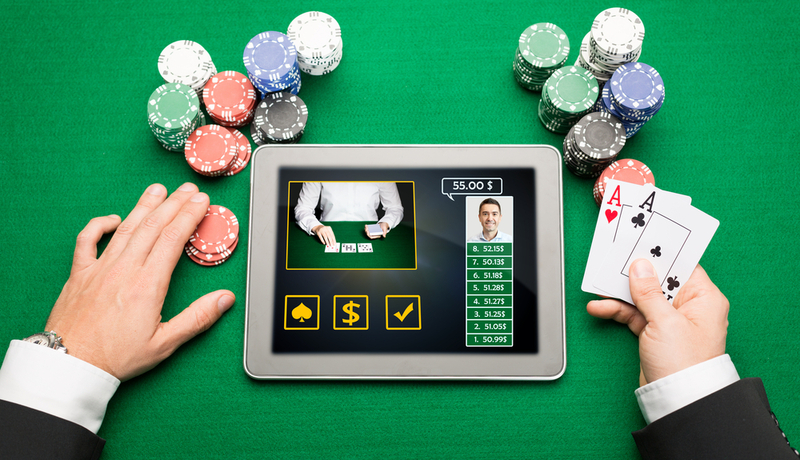 When choosing an online casino to play on, if it looks too good to be true – it probably is. There are four main pitfalls you can fall into when playing on UK casino sites. That site you are thinking of joining might offer a low house edge and great bonuses. It might also recoup a huge portion of your winnings by taking a hefty commission from you when you make a withdrawal. Avoid this pitfall by investigating the casino’s withdrawal fees and commissions before you play. These should be prominently displayed on their website. If these details are not displayed so that they are clear to see, this in itself is a warning sign and you should steer clear of this casino. Casinos in the UK – both online and land based – are regulated by the Gambling Commission. Under the 2005 Gambling Act, all types of casino need to have a license that covers the games that they offer. Some licenses will be for specific games, such as bingo. Other licenses are of a more general nature and cover a wider range of gambling games. Some casinos took a while to acquire their licenses before the laws tightened up (and many of the older, now highly reputable casinos operated without a license for a few months to start off with). Licensing information should be displayed clearly on the site, and it should also be available on request from the casino’s customer service team. If a casino is not operating with a valid license, it is worthwhile steering clear of it. It may be a scam. Once we have been fortunate enough to win something at an online casino, we want to get paid as quickly as possible. One of the biggest frustrations for the online gambler is delays in their payments. Even worse, some gamblers find that their casino does not pay them at all. In the latter case, the casino is almost certainly a scam. Before playing at a UK casino online, you can avoid these payment related pitfalls by reading reviews of the casino by other gamblers. Do they complain about never getting to see their money? Do they rant and rave about non-existent customer service and payments that take weeks to arrive? No-one wants to put themselves through this hassle, so it is a good idea to stay away from a casino that is accruing a reputation for delaying or withholding payment. Many casinos have apps and mobile versions of their websites these days. Such features can be wonderfully convenient – as long as they work properly. A glitch in an app or a bug in a mobile site can cause your game to freeze right when you were about to win. What can be more frustrating than losing out on a several hundred pound stake just because of a poorly set up website? This pitfall can be avoided by reading reviews of the site to see if other users have had any issues with the casino’s technology. Several casinos offer free trials of their site, which enable you to play the games (not for real money, of course) to get a feel for whether everything runs smoothly. Finally, make sure that you access the casino’s website using a fast, high quality internet connection at all times and to use heavy duty security software. That way, you will not be introducing any technical issues from your own end. The good news is that, even when you apply very strict criteria so as to filter out all of the ‘bad eggs’, there will still be a whole host of web based casinos for you to play at in the UK. Applying the golden rules outlined above every time that you are thinking of playing at a new casino will save you a lot of time and hassle. Help other gamblers out in the meantime by writing reviews of casino sites that you have played at. Include the vital information outlined in this article, and supply words of encouragement or warning as required. That way, you can help other UK based casino lovers to pinpoint which casinos are doing a good job and which establishments are best avoided because they offer poor customer service – or are downright scams. Happy gambling – we wish you the best of luck with your casino adventures.